Gene had the ability to take instant catnaps, awakening a few minutes later refreshed and ready for the next task. 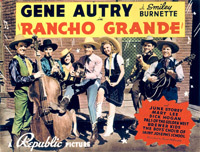 Kay and Tom Dodge, two madcap youngsters, inherit the mortgage encumbered Rancho Grande and, with their younger sister Patsy, go West to take charge. Foreman Gene Autry, guardian of the Dodge property, dreads their arrival as he has his hands full trying to save the ranch, which was mortgaged in order to secure funds for a dam. If the dam is not completed by the specified date, the Citrus Valley Association, holders of the mortgage, will foreclose and all the Dodge holdings will be lost. Tom and Kay openly defy Gene, incited by the family lawyer who is secretly a heavy stockholder in the Citrus Valley Association. However, Gene finally wins the support of Kay and Tom and manages to fulfill the terms of the Dodge contract despite the many obstacles placed in his way. 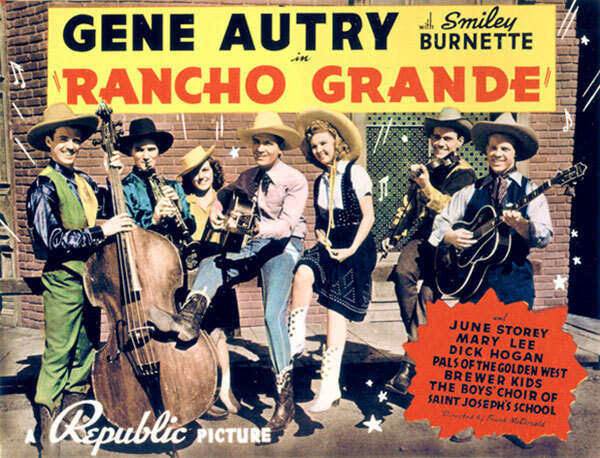 Rancho Grande is saved and Kay and Tom take on new responsibilities with greater understanding and ability.